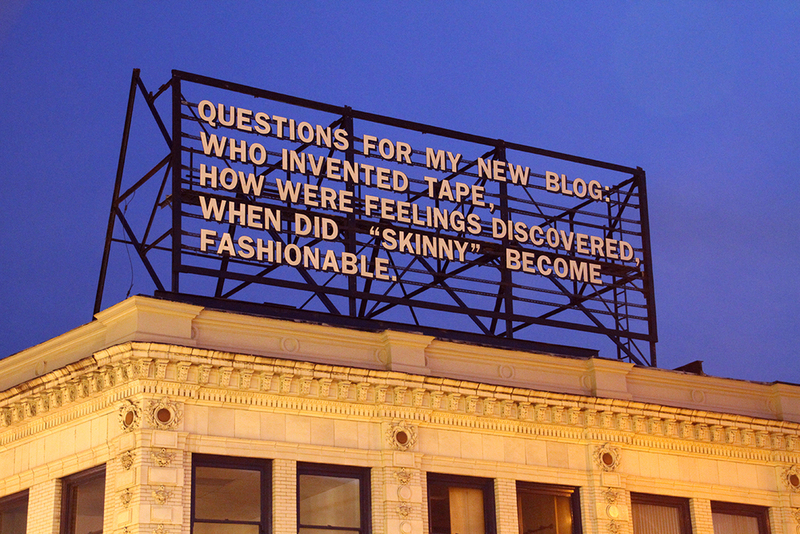 The billboard is a publishing system for thoughts and ideas from around the world all presented in the sky over a building in the East Liberty neighborhood of Pittsburgh. Participating artists, writers and children have included Nina Katchadourian, Steve Lambert, Michael Crowe, Matt Shain, Maude Liotta, Marc Horowitz, Lenka Clayton, Joshua Beckman, Anthony Discenza, and Packard Jennings. The billboard sits on a busy urban throughway and is potentially viewed by over 10,000 people and cars a day. Billboard designed by Pablo Garcia and Jon Rubin.